Battling a spending habit? Here are 10 ways to put that bad habit to rest and get and stay out of debt. Credit cards make it easy to overspend, but you can't use them if you don't have them with you. 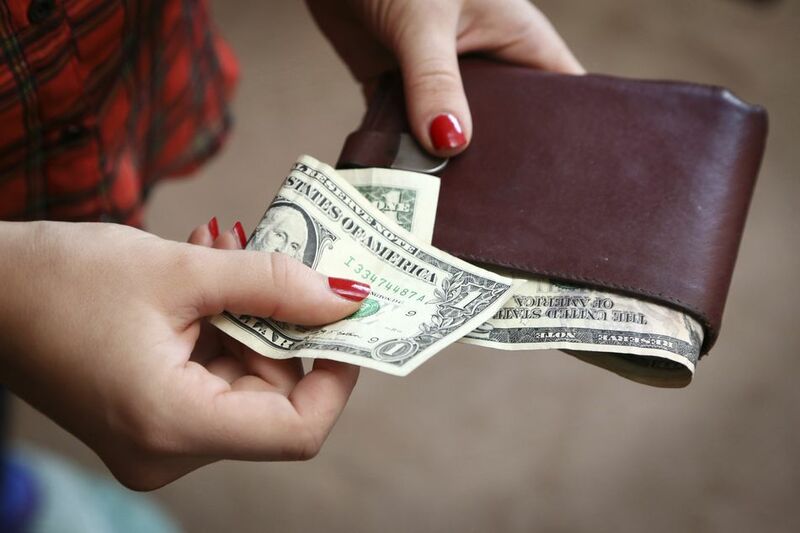 Leave your credit cards at home, and stick to cash or debit for all of your purchases. Find yourself blowing big bucks on small purchases like coffee and vending machine snacks? Here's a simple way to crush the habit: Pick something that you really want. A vacation, a fat emergency fund, to get out of debt and remind yourself of this goal each time you feel tempted to blow money on a non-essential. Then, take the money you would have blown, and put it towards your goal. Before long you'll be sunning yourself on a tropical shore or sitting on top of a mound of money. Who knew breaking bad habits could be so rewarding? Do you need those new shoes or do you just want them? Ask yourself this question each time you find yourself contemplating a purchase. If it's a need (and it fits within your budget), go ahead and buy them. If it's a want, spend some time weighing the impact of your purchase. What will these shoes do for you? Will they make you happy? Fill a hole in your wardrobe? Can you afford to buy them? Is there something else that you want more? Be honest about how your purchase will impact your life, and then decide if that "want" is worth the asking price. Ever gone into a store for a few items, and emerged with bags and bags of stuff? Yeah, we all have. Fortunately, there's an easy fix for this common spending trap: shop with a list. Jot down everything that you need from the store, then only shop for the items that are on your list. Tempted by something extra? Then, make a note to add it to your next shopping list. Look at your budget, and decide how much money you can afford to blow each week. Then, withdraw this amount from your checking account at the beginning of the week, and spend guilt-free. Just remember: When the money's gone, the spending stops. No exceptions. Are you coveting the latest bobble or gadget? Time to head for the nearest exit! Institute a 24-hour cooling off period before buying any big-ticket item. This will give you time to decide whether you need and can afford the object of your affection. Are you still smitten after 24-hours? Then, go back to the store and buy it. Do you have a hard time saying no to your shopping impulses? Then, find someone who can talk you down. Designate a friend or family member your "voice of reason" and only shop when they can go with you. Or go ahead and shop alone, but call your friend whenever you find yourself worked into a shopping frenzy. Have you noticed how big shopping carts are getting? Those babies are designed to keep you shopping! Avoid this clever spending trap by only taking a cart when you have a lot to buy. Otherwise, grab a shopping basket or carry your items. You'll be less tempted to shop when you don't have anywhere to put your selections. Are you looking for an easy way to break your spending habit? Here's one: Let someone else shop for you. Make out your shopping list, and then hand it off to someone you trust. You won't be able to add impulse items if you're sitting at home. Before you head to the checkout line, take a minute to look at your selections. Do you need everything that you're about to buy? Are there items that you should put back or think about for next time? Keep editing your selections until you feel good about them. Then, check out with a clear conscience.